We are Boatmasters, a premier boat repair facility located in Livermore, California. We offer service for every aspect of your vessel, from mechanical to structural, as well as detailing services. Our trained technicians can help diagnose the most stubborn of motors to keep you on the water. This, plus our attention to detail and customer service, makes Boatmasters second to none. 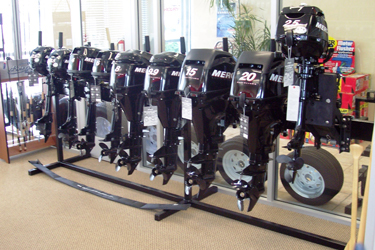 We are authorized to service and sell Mercury Outboards, MerCruiser, Volvo Penta, Indmar, Johnson/Evinrude, OMC Cobra, Force Outboards and Mariner Outboards. 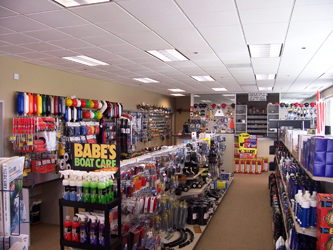 We also carry a wide variety of name brand supplies and accessories for cleaning and maintaining your vessel. Our 10,000 square foot, 1.5 acre facility allows us to handle any type of repair situation that can arise and provide outdoor storage to customers.